The potential replacement to Anthony Kennedy binds Donald Trump ever more closely to the Republican Party, and vice versa. President Donald Trump's announcement that he will nominate Brett Kavanaugh to replace retiring Justice Anthony Kennedy on the Supreme Court will not only have a major impact on American law. It also demonstrates the binding power of the conservative legal movement that has pushed the federal courts to the right for decades, while also drawing Trump ever closer to the Republican Party for the last two years. Trump, of course, has generally been impulsive on policy and independent from the Republican leadership on a variety of issues from sanctions on Russia to trade policy. But on judges he has been the ultimate party man, effectively delegating his choice to conservative legal activists. His willing acquiescence to their wishes on what could arguably be one of the few lasting achievements of his presidency reflects how important control of the courts is to both Republican public officials and voters. Polls have shown that power over the Supreme Court nominees was critical to getting Republicans who had misgivings about Trump’s fitness for office to the polls — he issued two lists of conservative judges pleasing to activists over the course of the 2016 campaign — and they’ve also been an important reason for Republican members of Congress to refuse to provide meaningful oversight on an unprecedentedly corrupt president. Trump’s selection of orthodox conservatives to the courts reflects his understanding of this dynamic. The insistence on conservative legal orthodoxy from Republican nominees increased considerably after George H.W. Bush nominated David Souter, who turned out to be a reliable liberal vote, to the Supreme Court in 1990. Since his rulings veered from what conservatives thought they’d be getting (despite the deliberately uncommitted nature of judicial nominees to specific rulings in advance), groups like the Federalist Society and the Heritage Foundation dedicated a great deal of energy to ensuring that there would be no more Souters on the court. And, to that end, the immensely influential conservative legal activist Leonard Leo took a leave from his position as executive vice president of the Federalist Society to personally work with Trump to pick federal judges. Kavanaugh is what you would expect of a Federalist nominee. 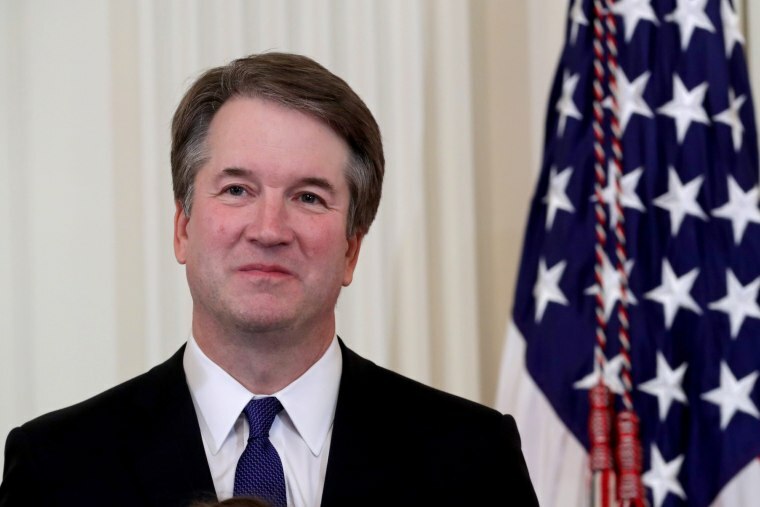 He is certainly able and experienced: Educated at Yale Law School, he once clerked for Justice Kennedy and served for more than a decade on the nation’s second-most powerful court, the D.C. Circuit Court of Appeals. The end of Roe v. Wade is coming. But states like Ohio have rolled back abortion rights for years. And yet, Kavanaugh is not likely to have a Supreme Court voting record meaningfully different from the other top contenders, such as Amy Coney Barrett, Thomas Hardiman, Raymond Kethledge. Trump had a deep group of reliably conservative judges to choose from — and that was no accident. It’s the product of decades of conservative activism. The most important player is the conservative legal movement is the Federalist Society, created in 1982 to counter the perceived liberal bias of law schools. It has become a well-funded and hugely influential organization, transforming itself into the go-to group that conservative would-be judges need by their side. Important scholarly books by political scientists Amanda Hollis-Brusky and Steven Teles have shown how the organization influenced a generation of conservative judges and legal scholars, and provides the information Republican presidents now rely on to pick federal judges. The template for a contemporary Federalist Society-approved Republican Supreme Court appointment is George W. Bush nominee Samuel Alito. He wasn’t prone to flashy rhetoric or to making off-the-wall arguments that could have been used against him in a confirmation hearing, as they were with scuttled nominee Robert Bork. He just happened to be an almost perfectly reliable vote for the most conservative option plausibly available to him as an appellate judge. That history has translated to a similar voting record on the Supreme Court — which is precisely what conservative activists are looking for. That opinion didn’t reveal Sutton as a closet liberal. But for conservative legal activists, one non-party-line opinion in a high-profile case is enough. They wanted someone who will follow a straight political line, regardless of where it stands in terms of jurisprudence. Kavanaugh, like the other judges on Trump’s shortlist, definitely fits the bill. So when someone like the Federalist Society’s Leo says it’s “scare-mongering” to say that Kavanaugh will vote to overrule Roe v. Wade and support many other conservative priorities (like crippling the federal regulatory state and neutering the Voting Rights Act), don’t believe him. He’s getting exactly in Kavanaugh, and every appointee, exactly what he wants. And he’ll be among the conservatives cheering when he does. 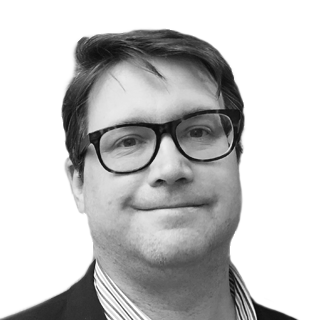 Scott Lemieux is a lecturer in the Department of Political Science at the University of Washington. He is the co-author of "Judicial Review and Democratic Theory" and contributes regularly to The Week, Reuters, and the New Republic. Scott Lemieux is a lecturer in the Department of Political Science at the University of Washington. He is the co-author of Judicial Review and Democratic Theory and contributes regularly to The Week, Reuters, and the New Republic.